KC Elite is looking for players for 8u team for a competitive baseball team. Tryout dates: October 20th Please call Rod Myers 816-699-1982. Or go to www.kcelitesports.com to register. KC Elite is looking for players for 11u team for a competitive baseball team. Tryout dates: October 20th Please call Rod Myers 816-699-1982. Or go to www.kcelitesports.com to register. 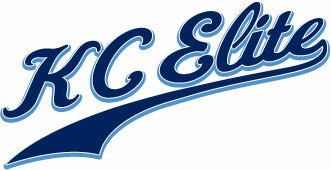 KC Elite is looking for players ages 13-14-yrs old for a competitive baseball team. Tryout dates: October 21th Please call Rod Myers 816-699-1982. Or go to www.kcelitesports.com to register. KC Elite is looking for players ages 15-18yrs old for a competitive baseball team. Tryout dates: October 27th & 28th Please call Rod Myers 816-699-1982. Or go to www.kcelitesports.com to register. IF YOU HAVE ANY CONFLICTS PLEASE DO NOT HESITATE TO CALL US AT 816-699-1982.